I made a card set to show it off. wait. before I show you, you have to understand 2 things: yes, i know what it looks like. and second, kids like that kind of stuff. and added a face in the middle. The oval and smiley face are already part of the original crayon, all I had to do was add a swipe of hair to the top of the oval. The sentiment is an original. I grabbed "everything is" and "with you" from love you S'more, and used Milo's ABCs to fill in the "more colorful." I hope it put a smile on your face. And that you aren't thinking: ew. does she know what that looks like? 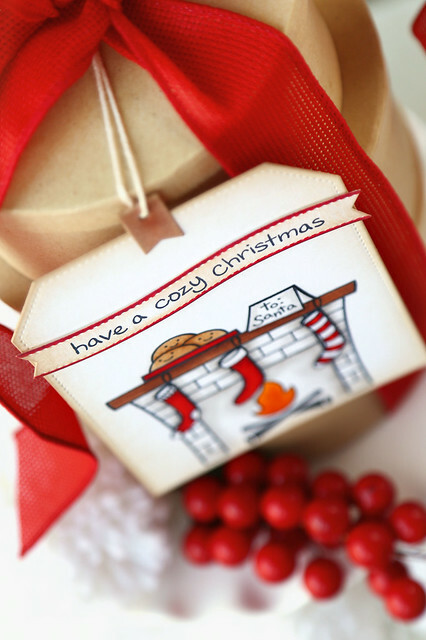 I have loved Cozy Christmas for so long - it's still a classic Christmas set, in my opinion. To limit the number of smiley faces, I opted for the woodsier fire from Love You S'more. 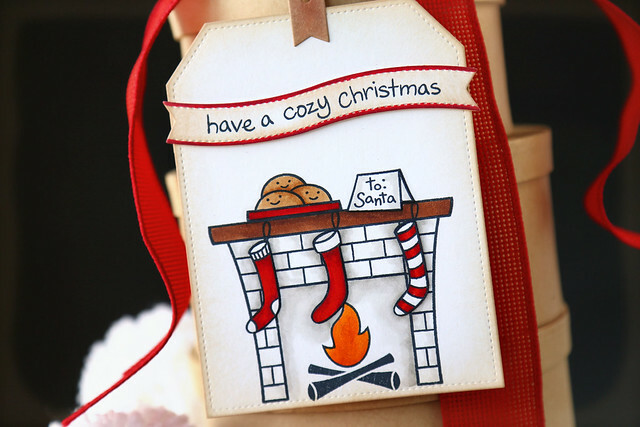 I didn't bother masking anything; I stamped the stockings and note to santa separately and snipped them out. Because figuring out how to stamp and mask everything perfectly was making my head hurt. 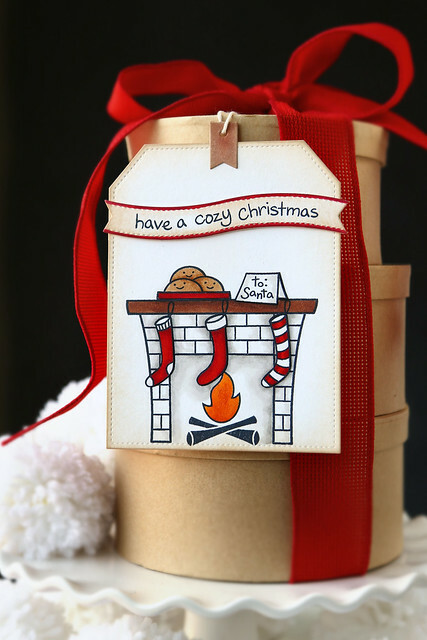 Plus, I love the hint of texture you get from glueing the stockings onto the fireplace. It's subtle, but makes a handmade tag a little more special. 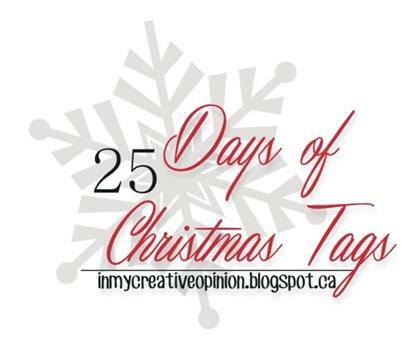 She's allowing me to choose a winner from commenters on this blog post! So, leave me a comment by the end of the day today and when I wake up tomorrow morning, I'll randomly pick a name to forward to Tracey. That person will be included in the prize draw that she will be doing tomorrow. I'm always so excited to get to work with Marlyn (of Montreal Confections.) 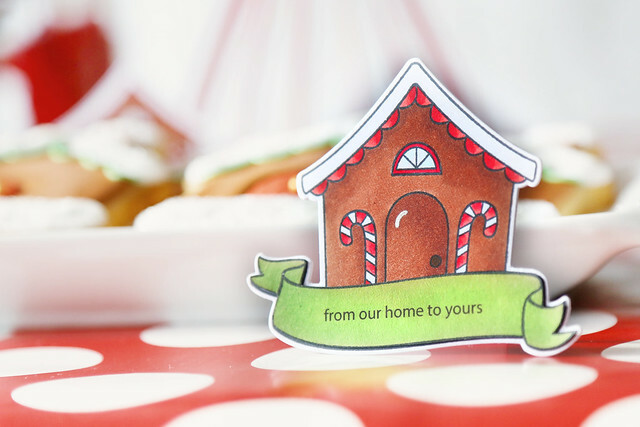 Her cakes and cookies make any paper decorations I craft look so much better. 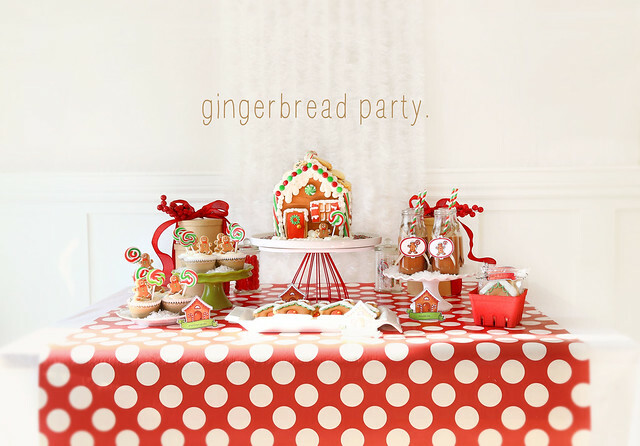 And I create these monthly parties for Lawn Fawn, using their stamps and dies. Marlyn made this amazing gingerbread house cake! 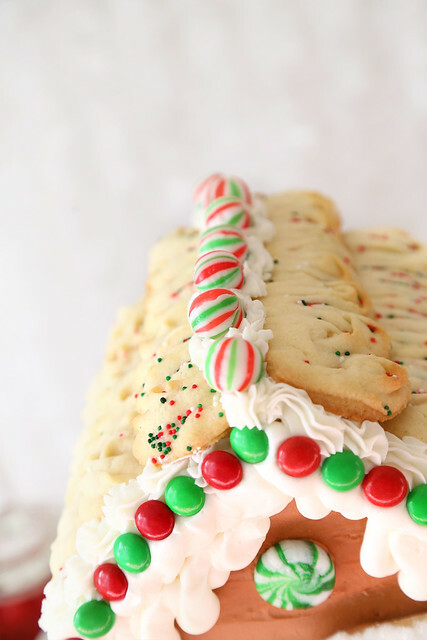 She's right - who wants to actually eat a dry, cookie gingerbread house? But a cake in the shape of? Oh, yes. It was delicious. 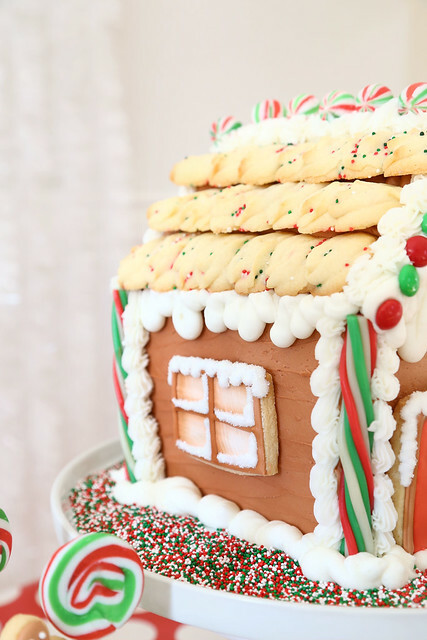 With spritz cookies for roof shingles, and red and green candy accents, it was perfect. She created a how-to video on her youtube channel - click to watch it! 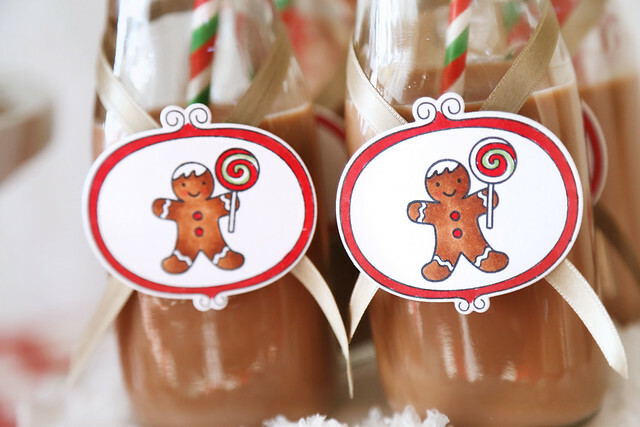 I created these gingerbread drink labels, with straws to match the little swirled lollipop that he is holding. Just for a different look, I used a copic pen to draw in some icing at the top of his head. I love him with icing hair! 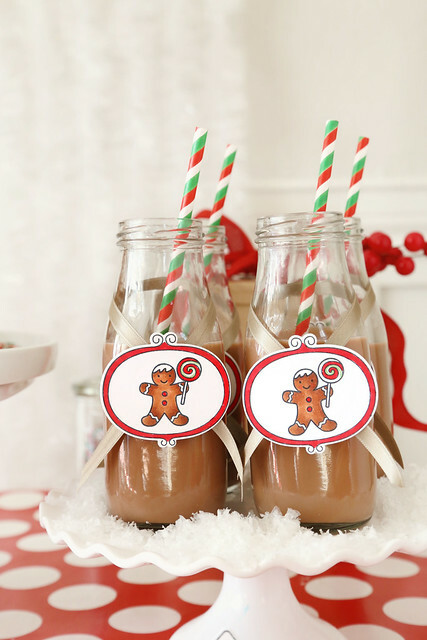 Of course, the bottles were filled with chocolate milk. I mean, if the kids are gonna get sugared up, you may as well do it right. ha. And, it matches the gingerbread brown color better. I found these swirly lollipops at our local dollarstore - they were the inspiration for the entire party! 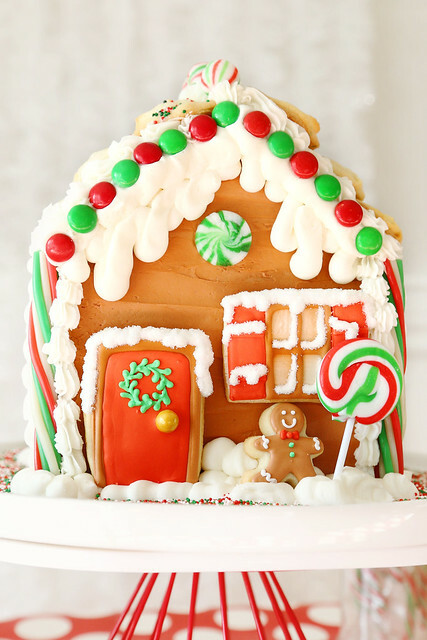 In all of the decorations, the gingerbread man is holding a similar lollipop. 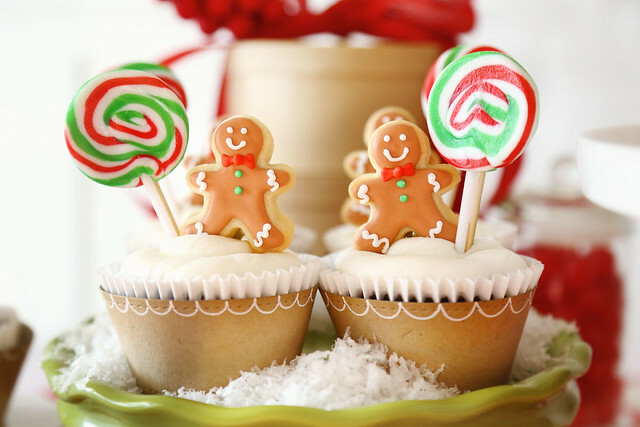 I love cookies and candy for cupcake toppers! It's like candyland up in here! The cupcake wrappers were so simple, but add to the gingerbread feel, I cut them out of kraft paper, sponged the edges in brown ink and added scallops with a white gel pen. 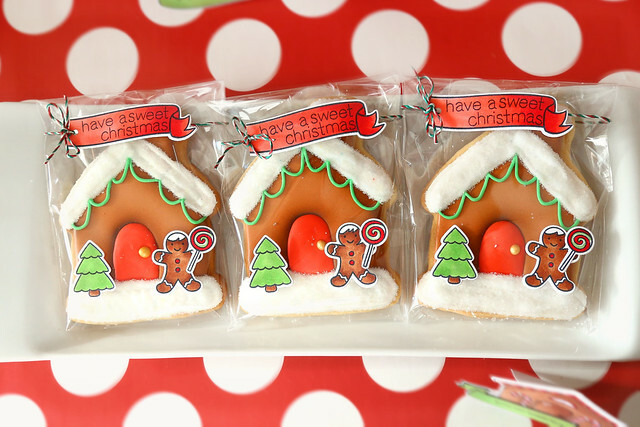 These cookies are so cute, with their sparkling snow accents! Marlyn has a video for these as well as the cupcakes you saw earlier - click! 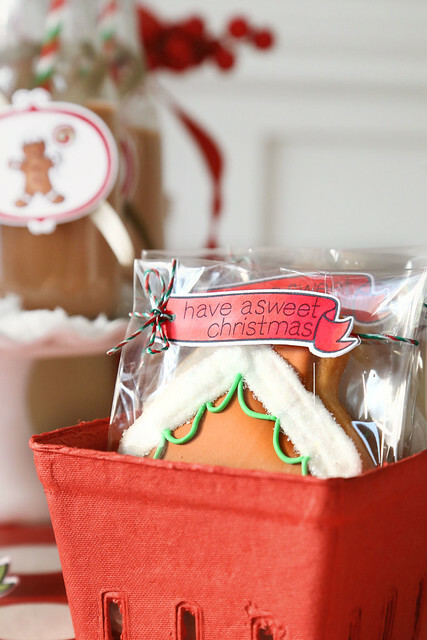 The video will also show you how to turn these cookies into a sweet parting gift. Easy and cute! 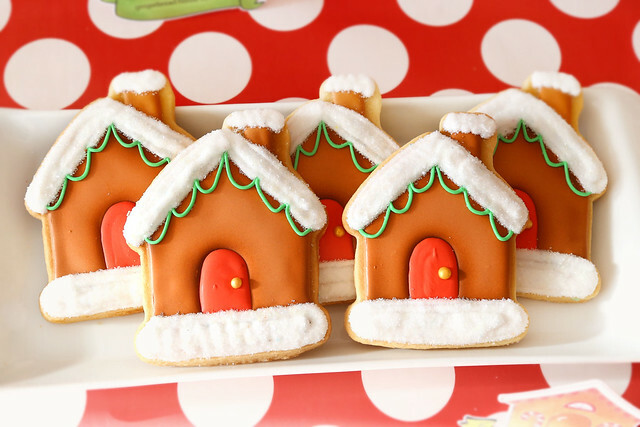 I hope you've enjoyed our gingerbread party, and thanks for stopping by! 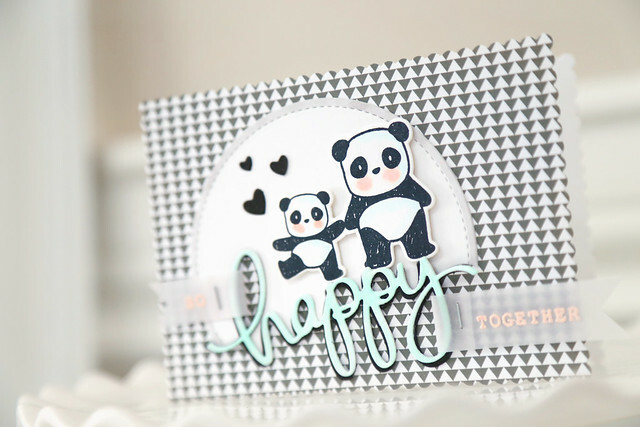 I started out by stamping the pandas and used the partial die-cutting technique to keep them joined together. 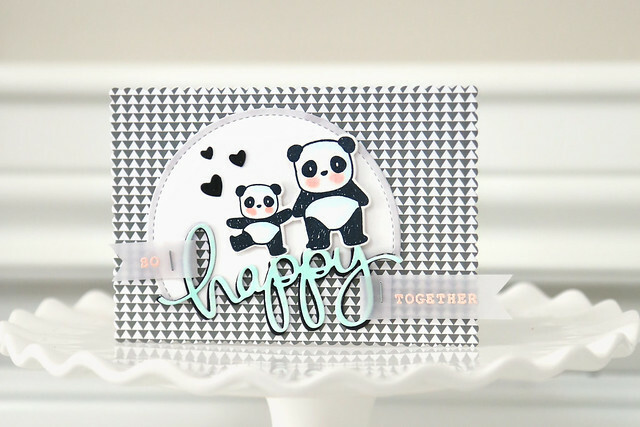 I then used the matching happy script die and cut it 4 times: twice out of aqua cardstock, once in black, and another time into the circle die-cut that would back the pandas. I adhered the two aqua layers together for extra thickness, and then glued them onto the black layer, positioning it to look like a shadow. I then heat-embossed the rest of the sentiment onto vellum and attached the banners in the loops of the big letters. I love the look! 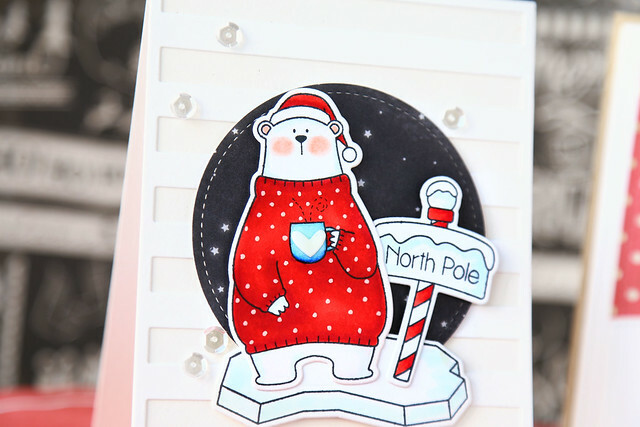 I just love these MFT polar bears so much that I had to sneak in a couple of cards for you today! I love anything Torico designs, but I really couldn't say no to these bears. Aren't they adorable? 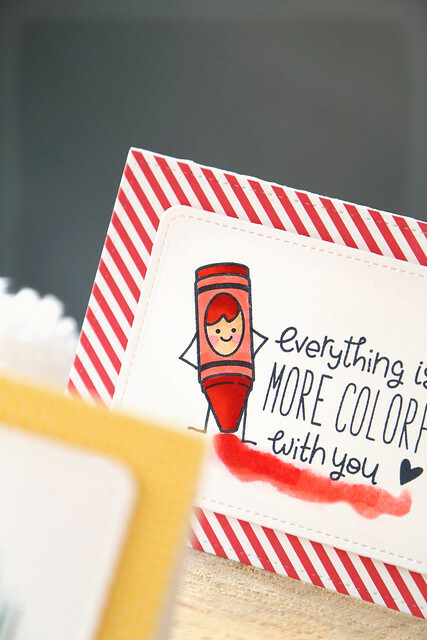 I started out with an off-white card base, and layered a stripes cover-up in white over-top. I cut a starry night stitched circle and layered images from the set in front of it. You know, he's just nonchalantly drinking his hot chocolate while drifting on a block of ice in the north pole. haha. 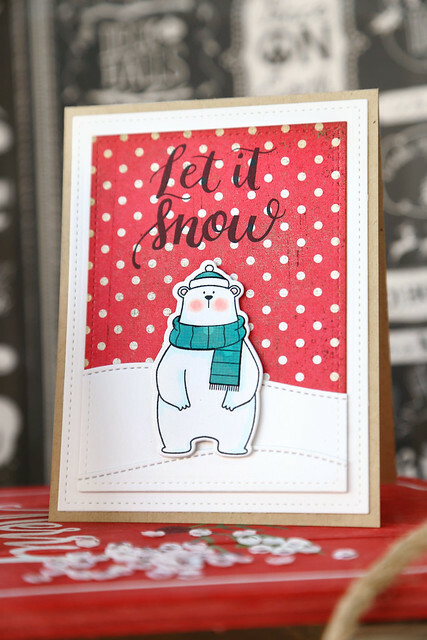 I am teaching a card class next weekend, so I needed to challenge myself to create a card that, with all of the pieces cut, could be stamped and re-created by stamping newbies. I hope they will enjoy paper-piecing his little scarf and hat! 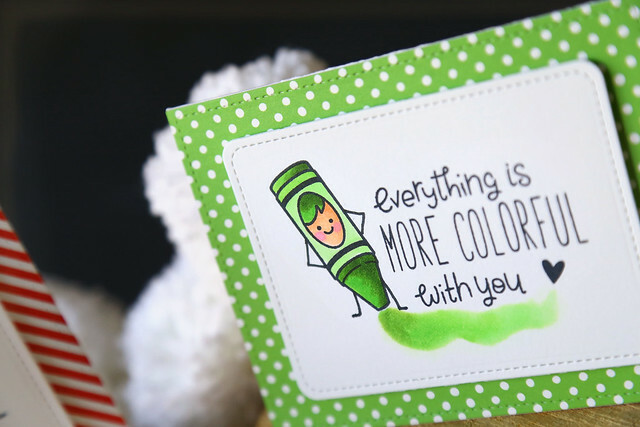 The Mama Elephant sentiment works perfectly on top of the polka dotted background. Hi! Today, the Mama Elephant design team is blitzing you with stamp inspiration for both Balloon Letters and Balloon Et Cetera. I couldn't help but pull out my Alpine Carolers! I stamped and masked the couple and the balloon letters and (copic) airbrushed a sky background. 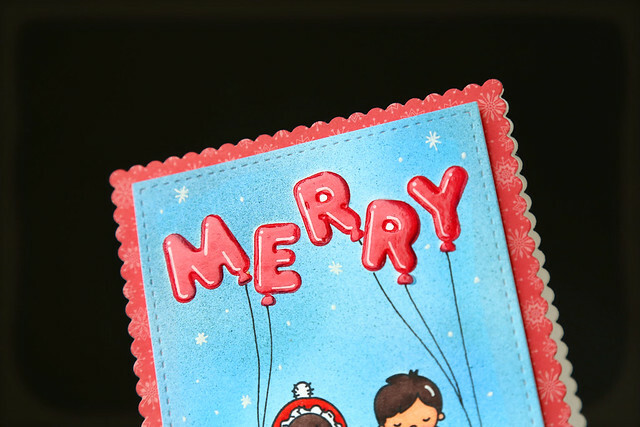 I added some snow and twinkling flakes in the background and glossed up the letters. They are balloons, after all! I am in love with these glossy balloon letters. I reached beyond Christmas to Valentine's day for this one. I borrowed the little envelope from Pandamonium, the dotted trail from No Peeking, and curved the Cross My Heart sentiment to fit around the trail. The cloud borders on either side frame out whole thing. I stamped all of the animal-shaped balloons, masking and clustering them together. I added some extra shading to the solid images and then used scissors to cut them all out. 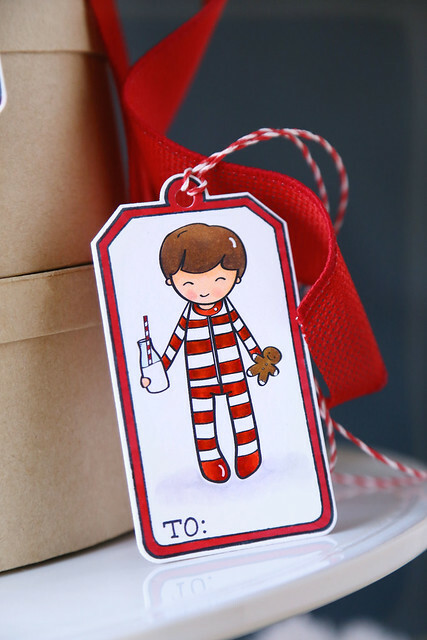 I added some blue ink to the huge tag shape and used a white gel pen to add the polka dots. I can't wait to add this to a gift! I have a few girls in mind who will be getting larger and more rounded bellies soon - hee hee! I hope you like them! Check out the ME blog for more balloon fun - click! 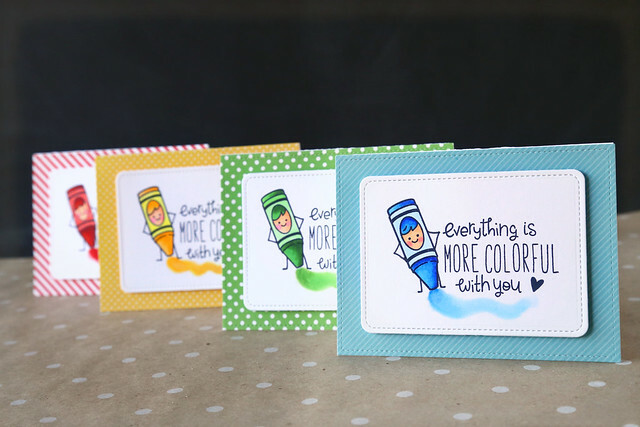 Hi there, and welcome back to another day of Mama Elephant stamp highlights! 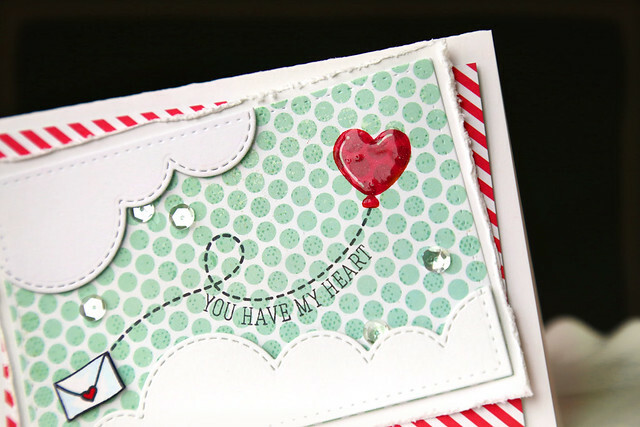 Cross my Heart is a beautiful sentiment set, full of heartfelt greetings to express love. It's not just for couples! I can see myself reaching for this set again and again, on cards for my kids and other family members too. Today's card veers from my usual cutesy, colored style. It's a quicker card than I'm used to putting together, but around this time of year time is running a bit short! I inked up a stamp block (this round wavy one from lawn fawn) with worn lipstick distress ink and then spritzed it with water before stamping down on my paper. Then, I sprayed the paper with water again and let the ink do its thing. I spattered a tiny bit of extra ink on for good measure. After that 5 minutes of fun, I let the paper dry overnight (under a pile of books when the ink wasn't sopping wet anymore) and then came back to it the next morning. 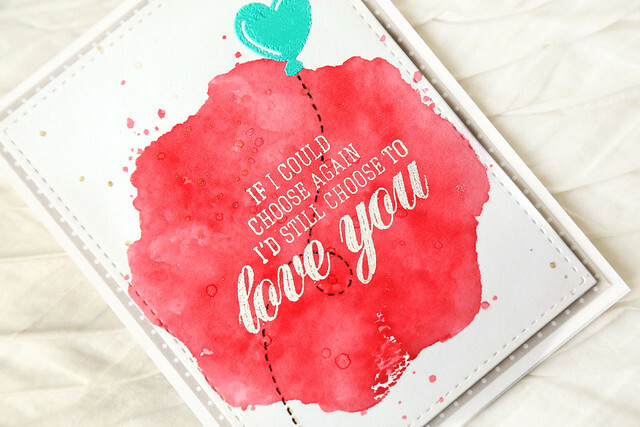 I heat embossed the sentiment in white (borrowing an extra "to" from one sentiment to make it work with the big scripted "love you"). 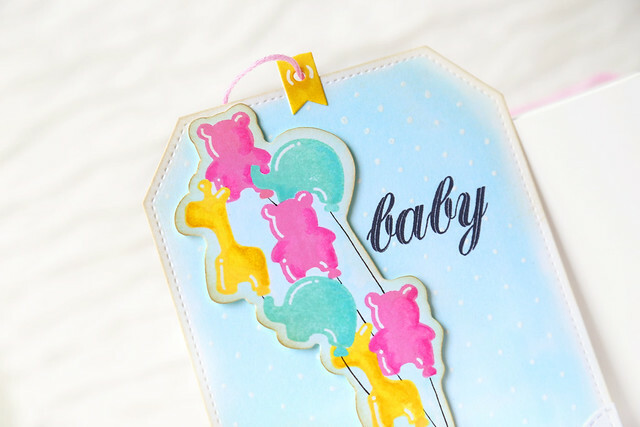 I added a punch of aqua with the heart-shaped balloon, heat-embossing that with a zing embossing powder. I love the color, but I have to admit that the zing powders are not my favorites. They aren't as smooth as the WOW brand, in my opinion. I added dotted lines for the balloon trail and assembled my card. I hope you like it! Check out the ME blog this morning for more inspiration - click! hi there! 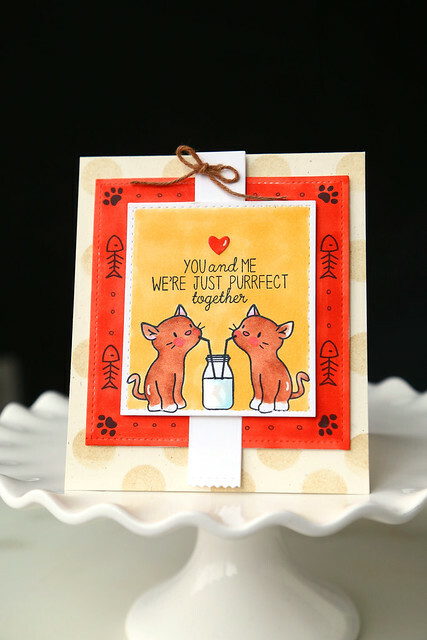 It's the first day of Mama Elephant stamp highlights, and we're showing off the purrrrfect kitty set, purrfect pair. 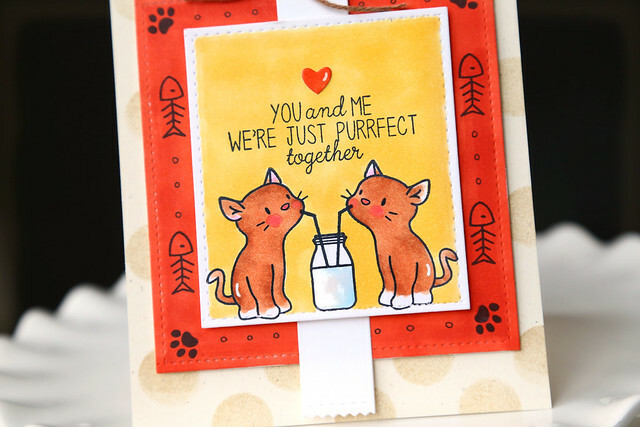 I stamped the feline duo sipping from the same bottle of milk - too cute, eh? I love it. I colored around them with a yellow copic marker. Behind the focal image, I created a frame using the smaller elements found in the set: the paw print and fish bone. I added doodly circles in between so it wouldn't look too cluttered. If you're familiar with ME dies, you know they don't carry these rectangle sizes. I customized my own shapes by using the femmes frames - send them through the die-cutter a few times and voila! smaller mats. I hope you like it! Check out the ME blog this morning for even more kitty inspiration - click! Hey there! Welcome to the Mama Elephant November Stampede Design Team blog hop! All of the new goodies are available for purchase in the store - click! 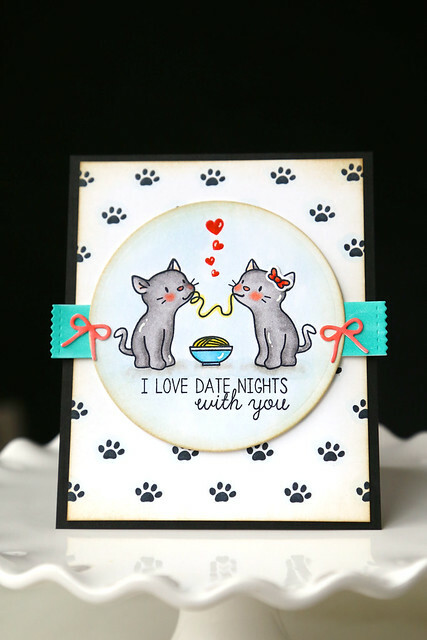 I just love the new set, Purrfect Pair - these kitties are so cute and the sentiments are just lovely and heartfelt. I stamped a little pasta-loving date scene - doesn't it look like they are just slurping up those noodles? It reminds me of Lady and the Tramp...only with cats! 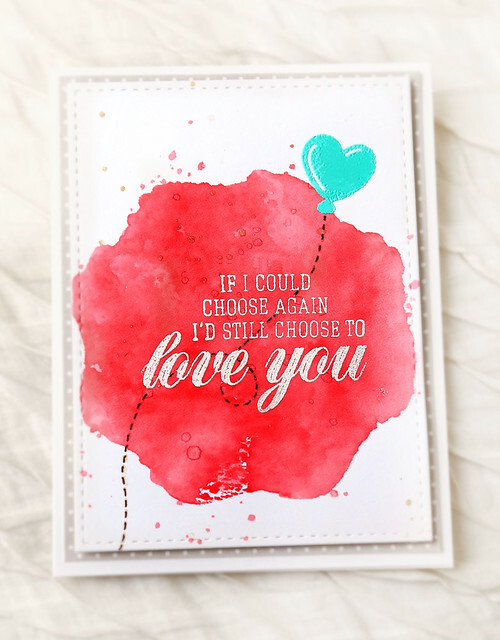 The sentiment could be used with so many other sets, and the fonts are amazing. I love all of the tiny elements in the set. 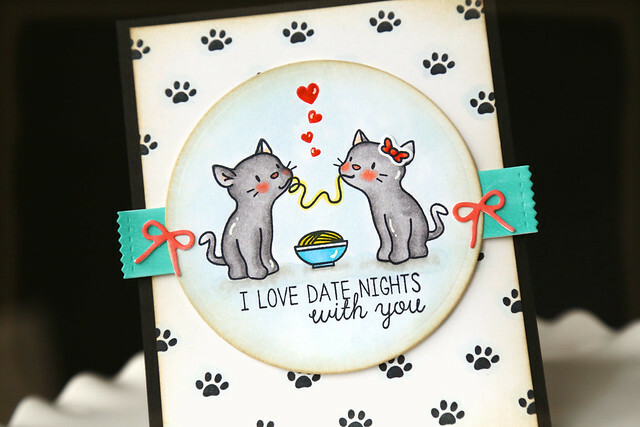 I stamped the floating hearts, gave the girly kitty a bow and made a custom paw print background. Let's call this Christmas pyjamas part deux. 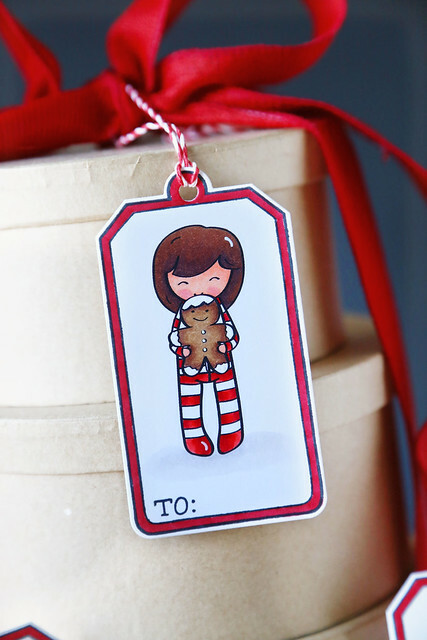 I showed you my illustration of a little girl holding milk and gingerbread in striped candy cane pyjamas (click!) and I'm just as proud of the little "spin-off" images I created. I illustrated a trio of kids in matching Christmas footed pjs... because that's what we had going on for real last Christmas and I loved it so much. All 6 year old boys should still walk around in footed pyjamas, that's my opinion, because the tiny bums look extra cute in them. I colored them to match and can't wait to attach these to special presents for my kids. Too bad I only know how to color one type of skin color and I made their hair a touch ginger. They won't suffer these details, I'm pretty sure. I love my boy version. I'm slowly getting the hang of this illustrating thing. Once I had the girl all done, I just played with the hair and gave him some ears and voila! My littlest boo-boo would probably drop her milk to the ground, so I drew her holding the world's largest gingerbread cookie. Maia already asked when I would be baking this for her. I pretended not to hear her. That is a totally kosher mom thing to do, right? ps, whenever I post original illustrations, I feel a tiny knot in my stomach, because these are my babies. you know? so thank you for your encouraging comments! I have miles to go in developing my skills and artistic talent, but it's nice to know you think they're cute. yeti or not... it's a-coming! 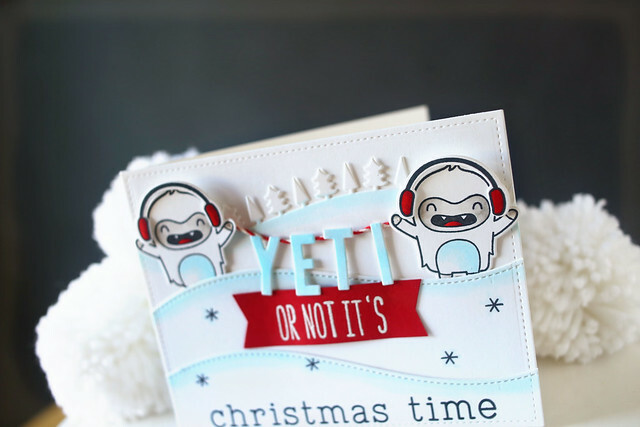 Are you yeti for this? haha. It's lawn fawn's holiday inspiration week, and it's jam-packed with all kinds of amazing holiday ideas for you! 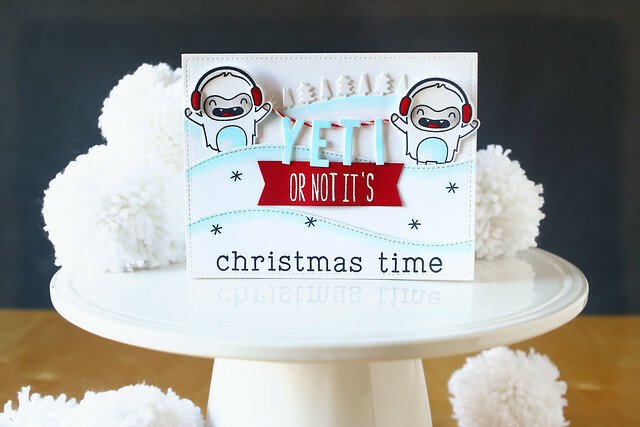 I saw an illustrated print that featured two yetis holding a banner that read "yeti or not" and I had to recreate it with all of the layering and interest that you can't get from a flat illustration. My kids thought it was a riot. I live to make them giggle at my cards. And there you have it. I hope you like it! 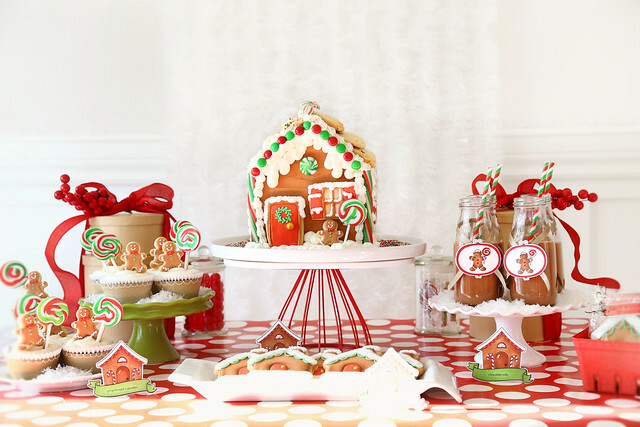 There's more to see on the lawn fawn blog today - click! 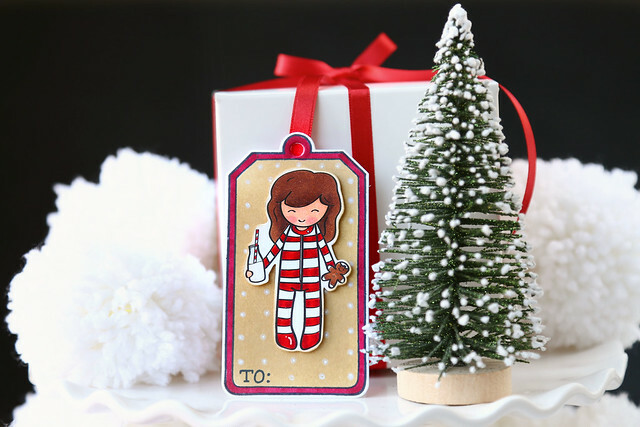 did you know this week is lawn fawn's holiday inspiration week? The lawnscaping design team is joining the regular design team gals to bring you a ton of Christmas and holiday card inspiration. 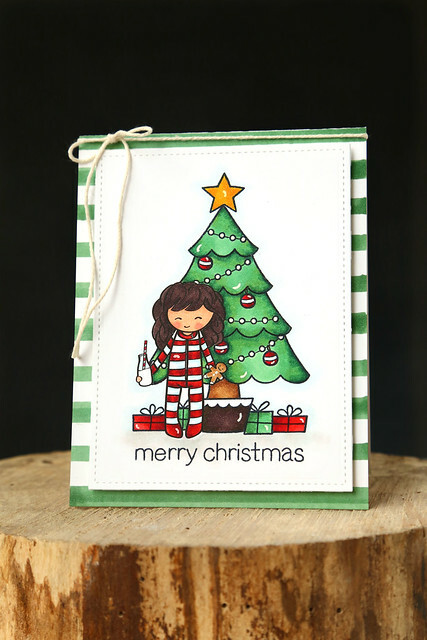 While today isn't my official spotlight on the lawn fawn blog, I thought I'd share an original illustration that I designed to fit in with some of lawn fawn's Christmas stamps. 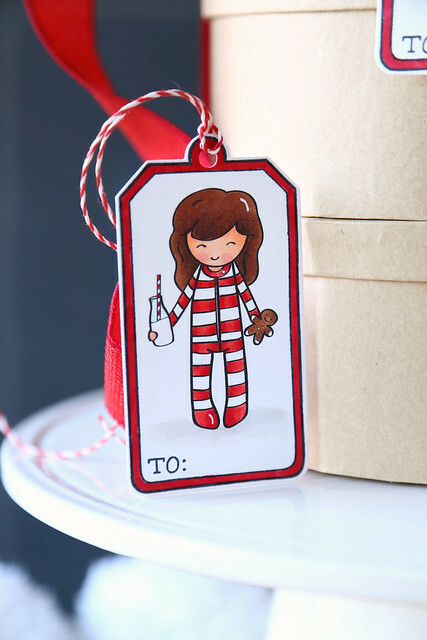 I drew her holding some holiday treats and put her onto a lawn fawn tag shape. I actually drew a boy and a younger looking girl to match this one, but I haven't found the time to color them yet! 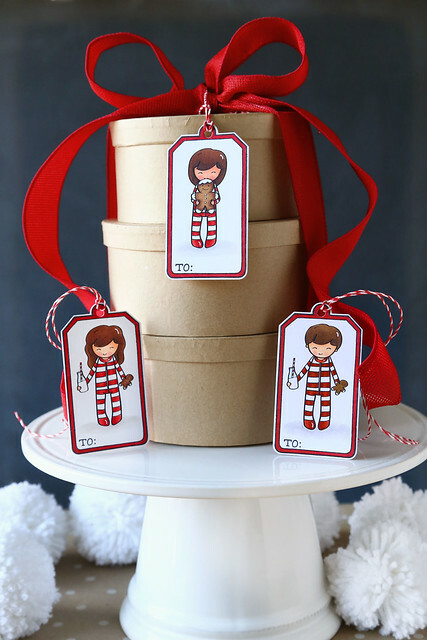 I can't wait to attach them onto gifts for my kidlets - personalized tags! She looks slightly different in this next card. I originally illustrated her like this, did all of this crazy masking and coloring and then stood back and decided I didn't like her crazy hair and overly large head. ha. What do you think? I think she fits in with the lawn fawn tree and presents just fine! It's a fun little scene. I'll be back tomorrow with my holiday week lawn fawn card! See you then! Hi there! I'm back with another Santa-themed project, using Waffle Flower's Surface Tag Die Santa Add-On. 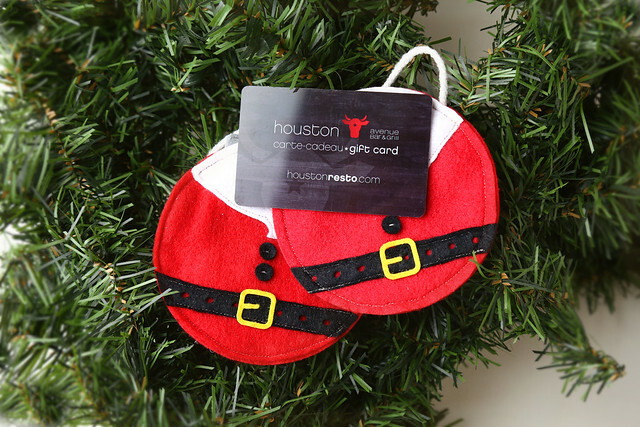 I created a couple of gift-card holders - perfect for gifting out to teachers for the holidays. The how-to is very simple. 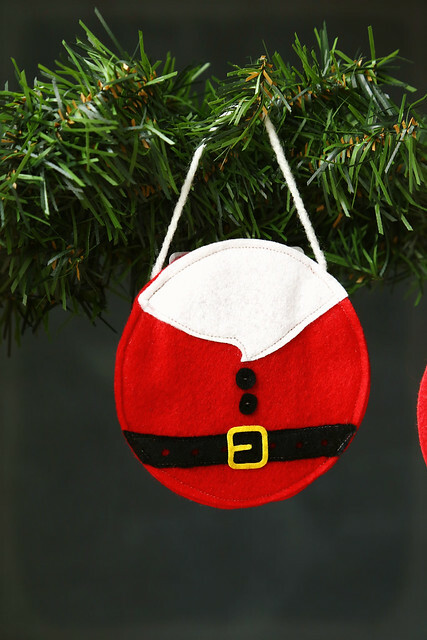 I cut a few felt circles, added the Santa pieces on top, and sewed all but the top closed, with an opening big enough to accommodate a gift card. If you look at these dies, you'll notice that the "belt" piece isn't long enough to span the entire width of the circle. I cut 2 of them, and you can't even see the seam behind the buckle. Also, when you cut the beard, you'll want to only cut the tip of the beard and then hand-cut the rest so it works with the curve of the circle. I think it looks so cute hanging from the garland! 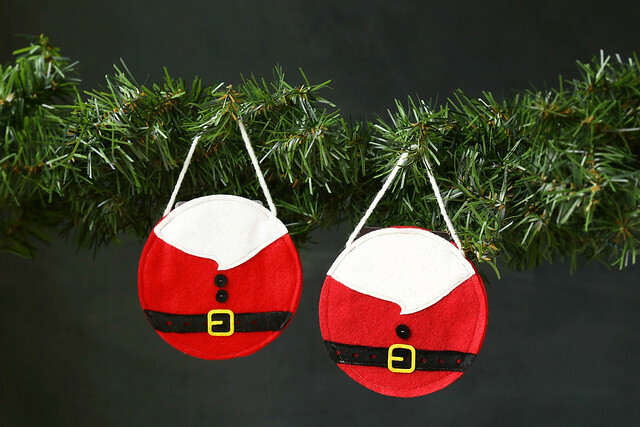 It makes me think that you could easily stuff and completely sew up the circles and you'd have an adorable ornament for your tree! What do you usually gift to your kids' teachers? And, if you give a gift card and you don't mind sharing, how much do you give? I hate to admit it, but I'm cheap by nature. I'm trying hard to learn to be more generous. Help a friend out, hee hee. 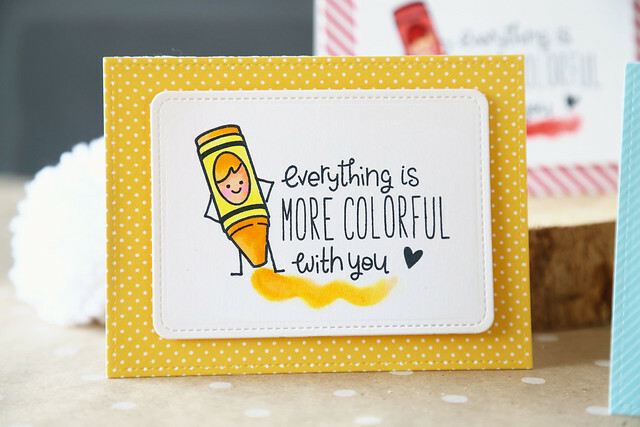 A huge thank you to my friend Nina for letting me guest design for Waffle Flower this month! It was so fun to work with these products! lawn fawn and imagine crafts week!